I love the magic. I have many a fond childhood memory of a magical Christmas Eve, leaving a creamy pint of Guinness and some carrots as a midnight snack for Santa and the rain-deers. After 8 years of living in Australia, I still cannot get used to Christmas in the sun. It never really feels like Christmas. I do however try my best to create that Christmas spirit. Having children gives you the excuse to revisit that magic and those childhood memories. Today we dusted off our box of decorations and added splashes of shiny reds and purples to our living room. I never remember exactly what I have in my box of Christmas tricks. It is not much, but it suffices to brighten our room up with some Christmas cheer. 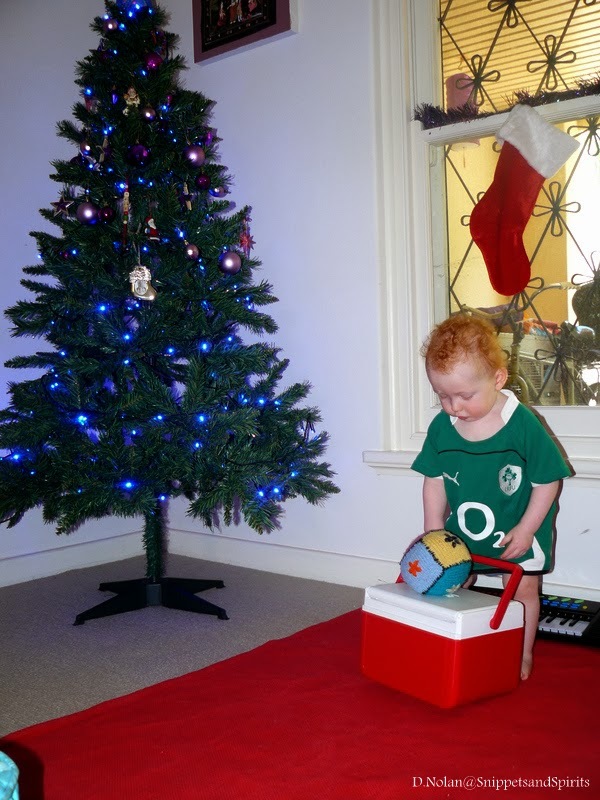 Since my first born arrived 3 years ago, we have been lucky enough to be sent a beautiful sterling silver Christmas tree decoration each year from Ireland to place with love upon our tree. These are about the best Christmas decorations we have, the rest are only but cheap and cheerful. 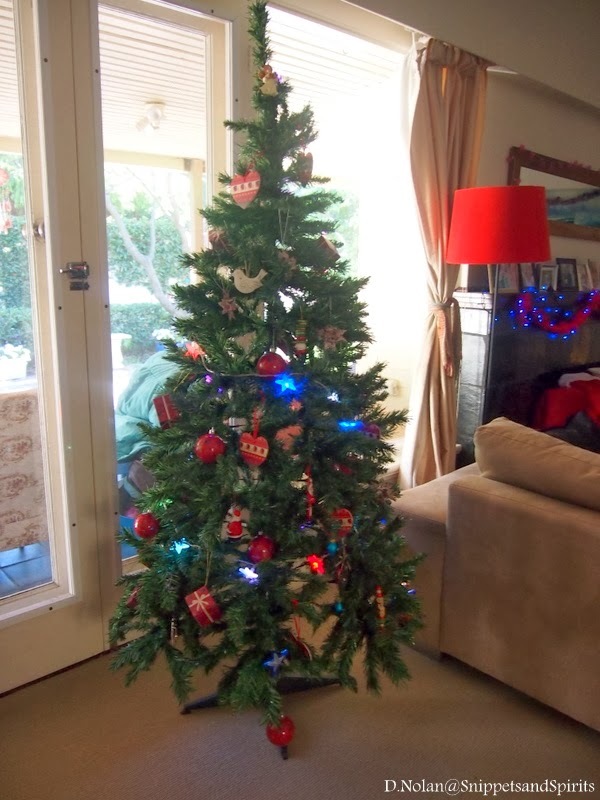 A fake Christmas tree, is also not something I ever thought I would have, however a real pine tree would never survive our Australian Christmas heat. I tend to be a perfectionist in many ways. I like things to be just so, the decorations to be aligned perfectly, an even dispersal of baubles from top to bottom on my tree. It annoys me if I see one that looks like it is out of place. Then along comes a three year old. I expect to have a lovely day of decorating, we will put up the decorations, listen to jingle bells ten times over. He will get excited, I will enjoy his Christmas spirit. We clean the house first, he scrubs the coffee table with some spray and a yellow cloth, creating enough suds to wash about 100 dishes. That is alright I just leave him to it, as his house husband training progresses. We vacuum, the carpet is spotless. Bad idea, we are yet to put up our fake plastic tree. The branches of the tree needed to be put in the right slots. Working from the largest at the bottom, to the smallest at the top. He places tiny branches at the bottom and huge branches overhanging and threatening to topple our lovely “mountain tree” over. I take some deep breaths and we fix our delightful tree, opening up the branches so precisely you would almost think it was real, except for the plastic that is. I place some coloured stars meant for the tree, in a bowl, I think this adds a nice Christmas feel to our coffee table. The stars are blue, I am trying to stick to a colour scheme here, only red and silver on the tree please, I cannot cope with another colour. He grabs the blue stars, places three on one branch next to the branch with the four red hearts, the deep breaths are not cutting it. Should I just leave them, these childhood decorating efforts. These memories that we are creating, memories that will come flooding back to him whilst decorating a family tree with his children. 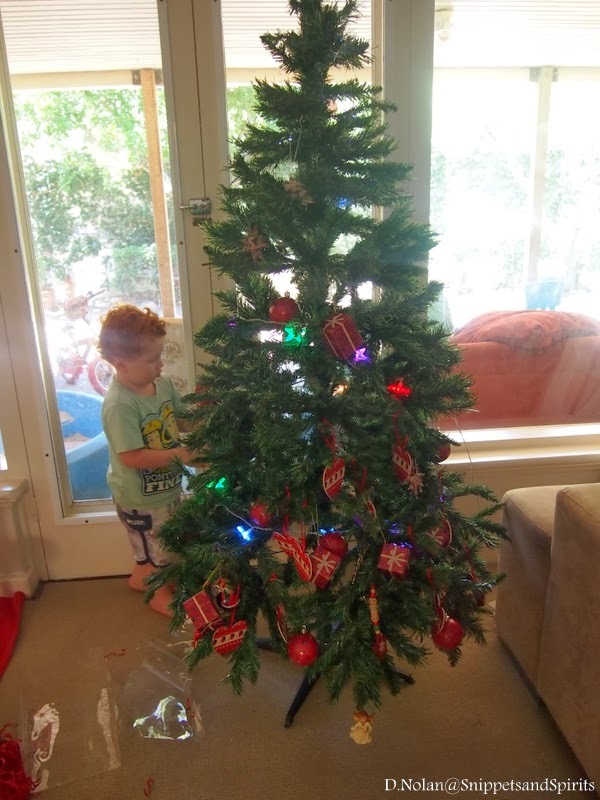 How mean spirited am I if I rearrange these decorations he has placed on the tree with such excitement, so delighted is he, that he is helping. 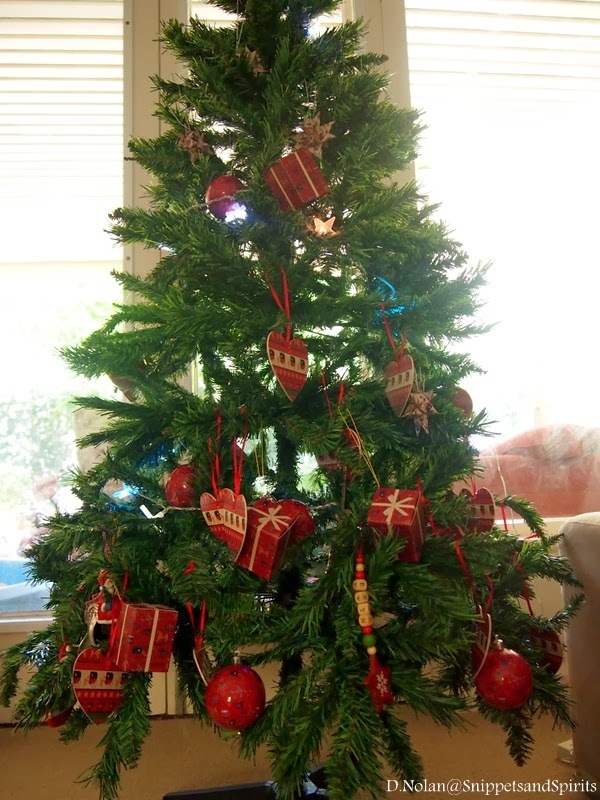 I do however have to look at this mess of baubles and hearts on my beloved plastic tree for the next month. I am not sure if I can do it. He is not looking, I quickly rearrange, for what I am sure will not be for the first time this month. At least this year baby is not yet crawling and Mr EP(3) has a bit more sense then he did in his second Christmas when I could only have decorations on the top half of the tree. Now that really drove me crazy! I have to remind myself Christmas is about children after all, not having the Christmas baubles linear and exactly 5cm apart from top to bottom of my fake plastic tree. 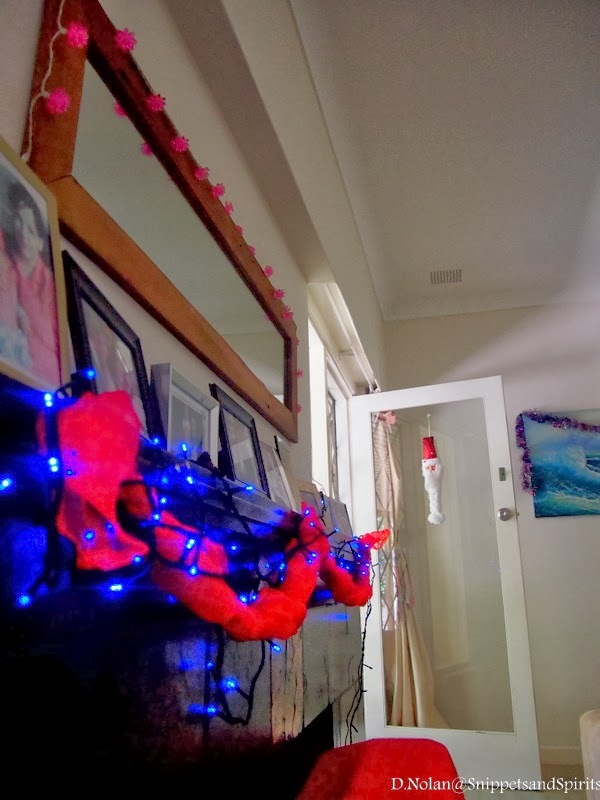 Are you able to leave you’re child’s Christmas decorating efforts be?